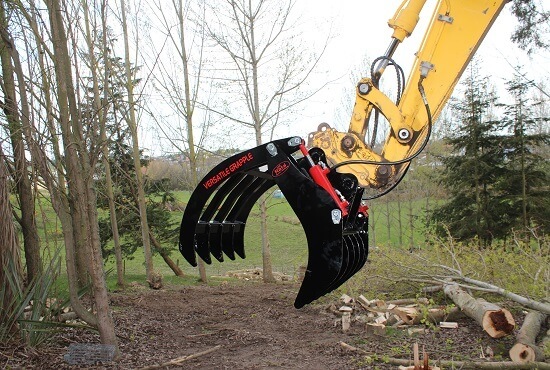 This attachment can be fitted to almost any loader or material handler. 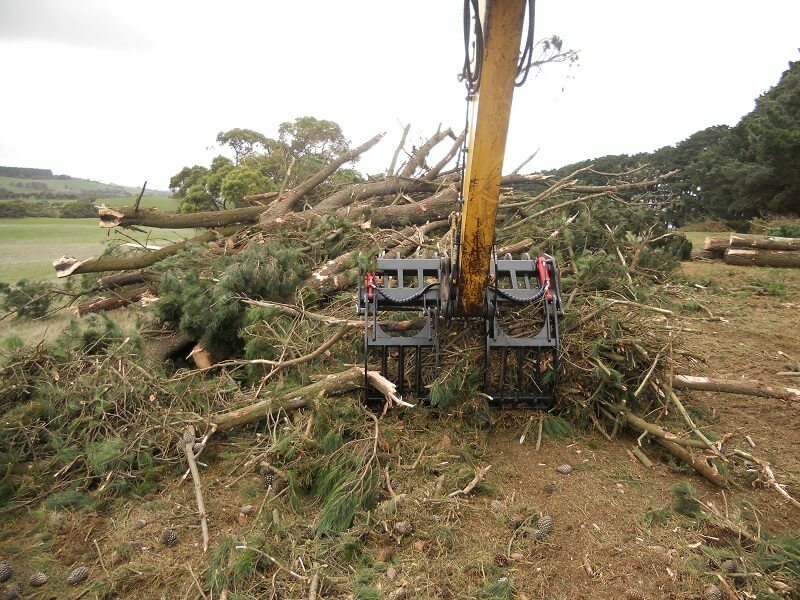 It must be the most useful tool you can think of because of due to the number of applications & tasks it can be used for, these include: rocks, logs, tree removal, hay bales, root rake, prunings, rubbish and much more. 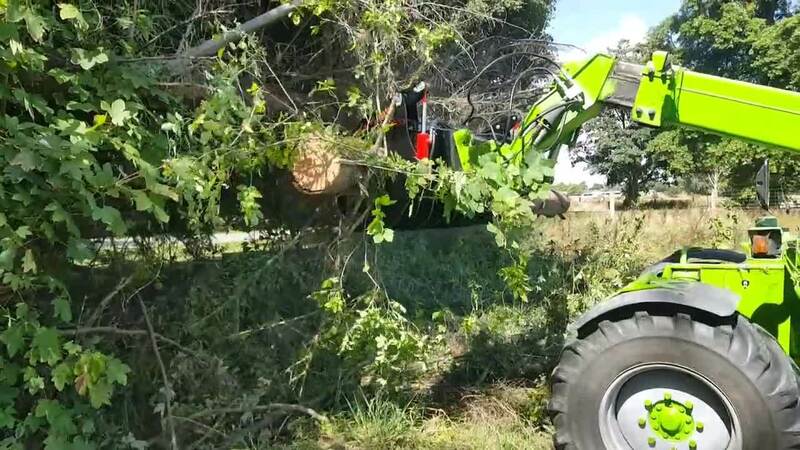 The exceptional clamping force and 16mm super high strength tines make this grapple a true multi tasker. 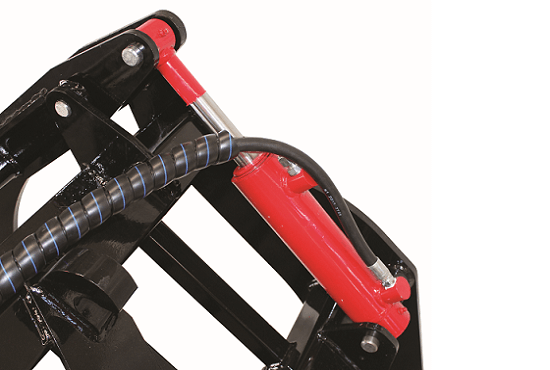 Interlocking tines ensure excellent grip & clamping force. 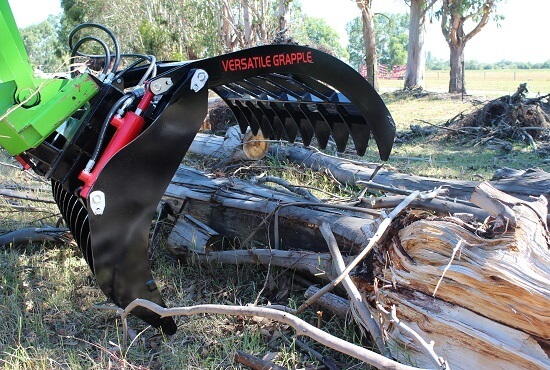 Versatile Grapple tines are made from 16mm 400 grade high tensile steel for maximum strength and durability, the tines are also braced to ensure maximum rigidity and prevent any possible splaying. 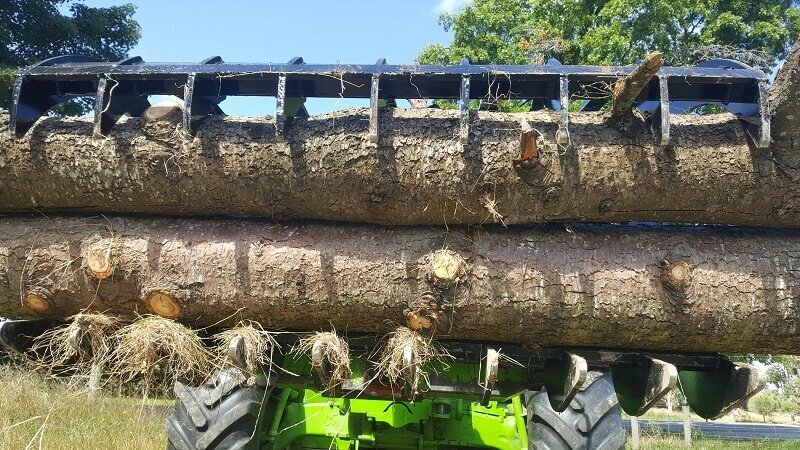 Tines are 20mm thick on Excavator models. 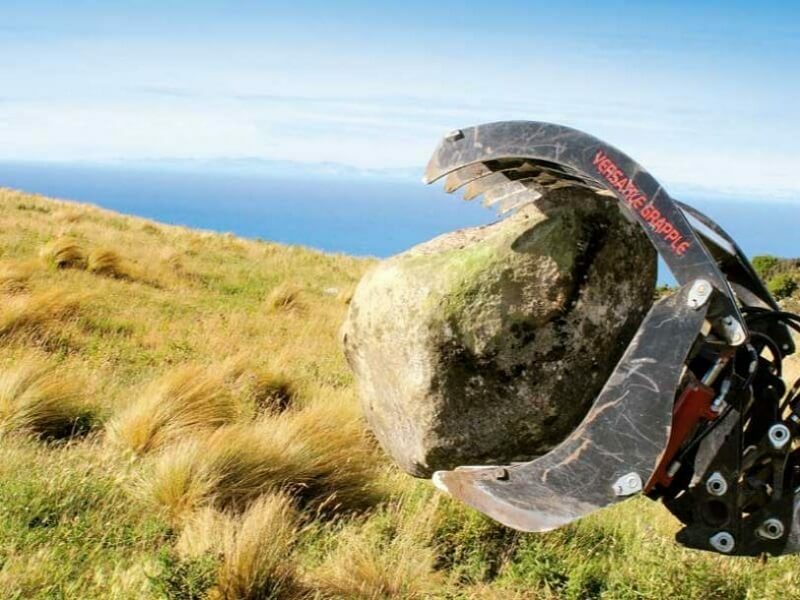 Interlocking tines of the Versatile Grapple ensure excellent grip on any product or item that's being handled, this makes handling the likes of hedge trimmings and branches much easier as the product is fully secured. 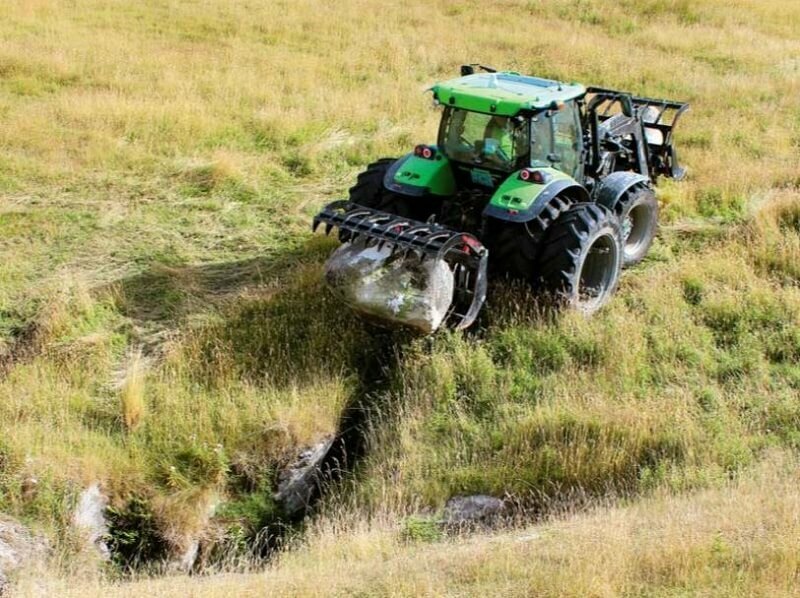 Rata Versatile Grapples feature powerful hydraulic rams and high quality hosing, the rams are located to the rear of the grapple away from the working area and the hoses are located out of harms way to ensure full protection. The Rata Versatile Grapples features heavy duty pins & bushes throughout the build. 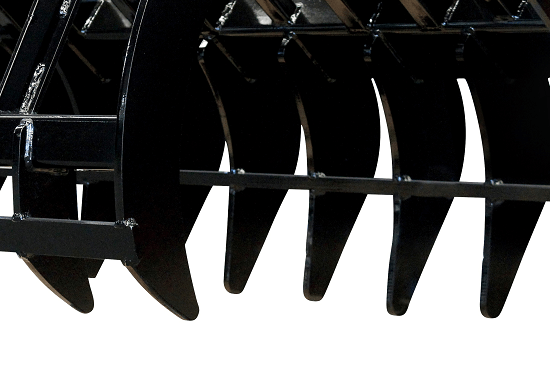 All pins are high tensile and greasable with the main pivots being 35mm diameter and supported by extra bushes. The pin geometry of the Versatile Grapple ensures a large arc of movement to close as tight as possible while also being able to open to large widths. 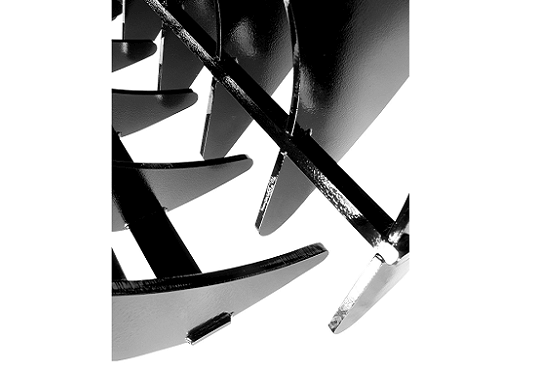 This geometry also ensures full clamping force is available throughout the arc of movement. 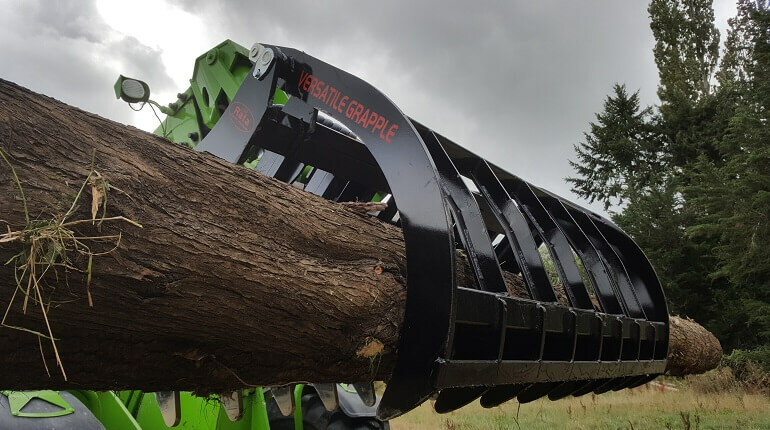 Versatile Grapples are sold throughout our nationwide network of dealers, find your nearest one today.